How will data and technology transform how we experience, access and move within cities? NYC residents deserve a service that is accessible, transparent, reliable and flexible. 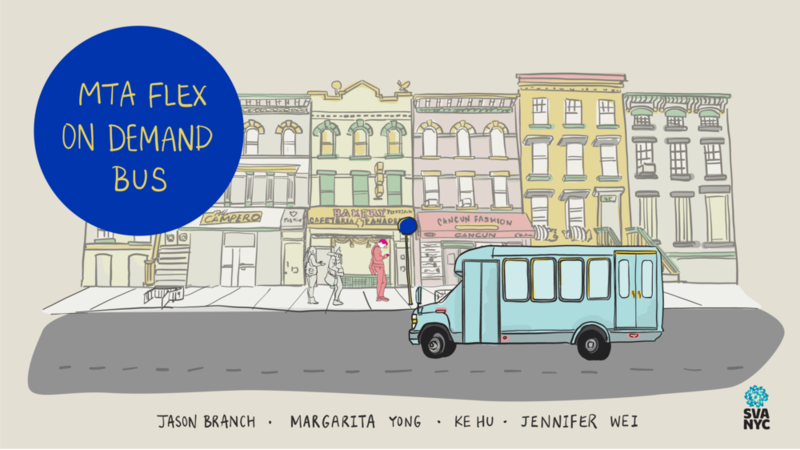 MTA Flex is an on-demand bus service that connects disparate neighborhoods and businesses. We aim to provide commuters with the convenience of ride-share but the affordability of public transit using real-time data. February 2019, my team is selected for a fellowship with NYC Media Lab partnered with Havas Media to harness the power of technology, emerging media, and data. The effort will inform future NYC transportation needs for commuters, business, or city transit companies. Havas is a company devoted to building meaningful brands and meaningful experiences. While big brand campaigns are needed, the company also strives to make a positive impact on real people’s lives and better communities through building experiences. Impact comes in many forms. It could be utility, inspiration, or support. And a little can go a long way. Key is to be alert to shifting needs and proactively offer solutions and support when they are needed most.